38. וְשָׁנִינוּ, בְּמָקוֹם שֶׁנִּמְצָאִים הָאָבוֹת, שְׁאָר הַצַּדִּיקִים נִמְצָאִים אִתָּם, וְעַל זֶה שֵׁם זֶה עוֹלֶה לִצְדָדִים אֲחֵרִים מֻפְרָדִים, אַף עַל גַּב שֶׁכֻּלָּם יוֹצְאִים לְדֶרֶךְ אֶחָד. 39. כְּשֶׁמְּאִירָה בְּאֵ”ר זוֹ מִצַּד יִצְחָק וְנִקְשֶׁרֶת בּוֹ, נַעֲשֶׂה יָם הַגָּדוֹל תַּקִּיף, וְגַלִּים חֲזָקִים עוֹלִים וְיוֹרְדִים בְּזַעַף וְרֹגֶז בְּתַקִּיפוּת, נוֹטֵל לְמַעְלָה, עוֹלֶה, וְיוֹרֵד לְמַטָּה. אַבְרָהָם בָּא מוּלוֹ (כְּנֶגְדּוֹ), וּמִתּוֹךְ רֹגֶז וְזַעַף וְחֵמָה וְתַקִּיפוּת זֶה אֶל זֶה לֹא הָיוּ מִתְקָרְבִים, עַד שֶׁבָּא יַעֲקֹב וְשׁוֹכֵךְ הָרֹגֶז, וּמֵמִיךְ וְשׁוֹבֵר גַּלֵּי הַיָּם. זֶהוּ שֶׁכָּתוּב (שמות יד) וַיֵּט מֹשֶׁה אֶת יָדוֹ עַל הַיָּם וַיּוֹלֶךְ ה’ אֶת הַיָּם בְּרוּחַ קָדִים עַזָּה וְגוֹ’. מַה זֶּה בְּרוּחַ קָדִים עַזָּה? זוֹ רוּחַ יַעֲקֹב, עַזָּה, תַּקִּיפָה לְמוּלוֹ לִשְׁבֹּר רֹגֶז יָם זֶה. וַיָּשֶׂם אֶת הַיָּם לֶחָרָבָה וַיִּבָּקְעוּ הַמָּיִם, (הוּא) רוֹקֵן הַיָּם מִמֵּי רֹגֶז, וְנֶחְלְקוּ הַמַּיִם לְצַד אַבְרָהָם וּלְצַד יַעֲקֹב. זֶהוּ שֶׁכָּתוּב וַיִּבָּקְעוּ הַמָּיִם, לְצַד זֶה וּלְצַד זֶה, וְעַל כָּךְ כָּל הָאוֹתִיּוֹת בְּדֶרֶךְ יָשָׁר כָּרָאוּי. In a place that we find the patriarchs that represent Chessed, Gevurah and Tiferet, we also find the Moses, Aaron and Joseph that represent Netzach, Hod and Yessod. For that reason there are additional interpretations of the 72 names. The six sefirot of Zeir Anpin have 12 borders that are revealed in each of the six. Therefore 6×12 = 72. When the Left, connected to Malchut, that is the aspect of ‘sea’ whose waters rose and became stormy, the Right rose toward the Left. The two sides were apart until Jacob, the central column, Tiferet, came and broke the waves. The east is the aspect of Tiferet and the wind that came from the east to turn the sea into dry land represented Jacob. The 72 names is a complete system that expresses the power of YHVH over nature. We can’t treat the names in any other way than a spiritual tool. Unfortunately, people turned the 72 names into big money making industry. The names are vessels of Light and the Light comes to them when we make a proper connection. What is not a proper connection: a name as a jewelry, visible to the eyes of others, has no energy and can attract only jealousy and evil eye. Old style amulets were made on silver that had attributes of sharing, with individual blessing of a kabbalist. The person wore it under his clothes and rarely visible to the public. It still doesn’t mean that using names in gold and diamonds under garments is good. Gold is left column. Diamonds are great in carrying energy but then there is the risk of what kind of energy they are carrying. Wearing a jewelry in public is made to impress people and that usually connects to the desire for the self alone. One can not have a bracelet with a holy name and go into the bathroom with it or do any non-kosher actions. It invites judgment and negative outcome. The only holy items that you can buy from a store is usually made manually for order like a Mezuzah, Torah scroll, and spiritual tools for spiritual connections. The manufacturers of jewelry and other items have the consciousness of making money. The transaction is of material exchange for money. There’s no holiness but idol worshipping. The manufacturers of such jewelries may be great artisans but their focus is on receiving money by selling hopes and desires. The 72 names are not tools of magic. They can’t be used as cards like tarots or similar things. I suggest to people to take their Jewelry and items of the 72 names to purify the negativity attached to them using sage and or mikveh and or give Tzedakah in the equal amount of the purchase to transform the material energy to spiritual, and keep it home. Avoid using individual names for meditation except מהש for healing. Always scan the entire 72 names chart before doing individual name meditation. You must have the support on the entire system, before you focus in on something individual. 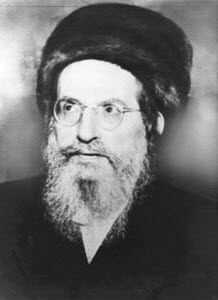 I don’t agree with many of the modern interpretations on the 72 names because I didn’t see any support to them from great kabbalists of the past. I will publish separately names for specific meditations with reference to well known great kabbalists. The ultimate connection to the 72 names is through the concealment of the names inside verses from Psalms. It was made by Kabbalist Rabbi Menachem Azaria of Pano, about 470 years ago. Watch the videos below for further explanations. We do not break the Ana B’Koach to its 42 letters name for use in meditation. We use the prayer made for us by Rabbi Nehunia ben Hakana. The Holy name or 42 letters is concealed in the 42 words of the Ana B’Koach prayer. When we recite the Ana B’Koach we reveal the Light that is concealed.